Singer, composer, performance artist and multi-instrumentalist Phoebe Legere has continually broken new musical ground since her New Wave band Monad formed in 1980. In 2006 Legere founded the New York Underground Museum, an interactive website that presents the work of both renowned and emerging artists. It was Legere’s eclectic talents that earned her an incredible opportunity. 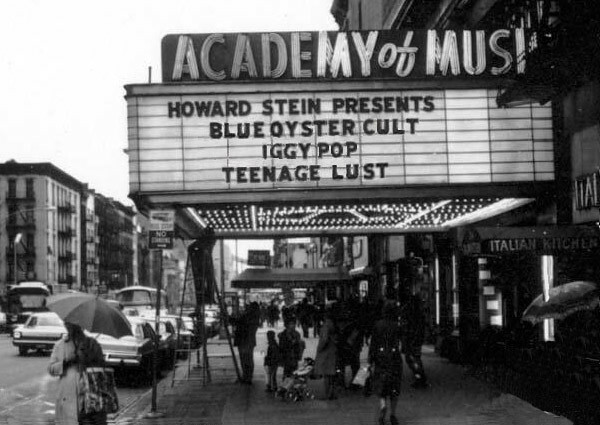 Built as a movie palace in 1927, the Academy of Music on East 14th Street, at Third Avenue, was a place where Lower East Siders would watch first-run features in grand style. Promoter Sid Bernstein, who brought the Beatles to America, understood the 3,000-seat hall’s potential: in the mid-1960s, he regularly booked British Invasion bands like the Rolling Stones, the Kinks and Herman’s Hermits there. Manfred Mann, on the charts with “Do Wah Diddy Diddy,” would share a bill with the Exciters, the American group that first recorded the tune to little notice.